From Hwy 101 (North or South), take the Grand Ave. exit in Arroyo Grande. 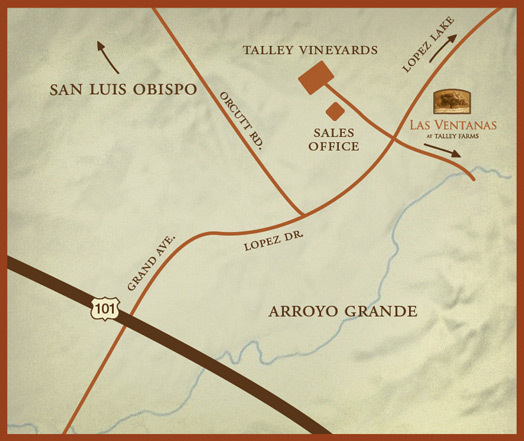 Stay in the left lane, and travel east through the Village of Arroyo Grande. At the three-way stop sign, keep to the right and follow the signs toward Lopez Lake. Take this road 5.5 miles to Talley Vineyards. Look for the adobe house on the hill.